The Toronto International Film Festival Vanguard Blog: EVOLUTION Premieres Tonight! I like to think that Evolution exists in the same world as Peter Strickland's The Duke of Burgundy. It has the same gorgeous cinematography, a similar focus on the natural world. 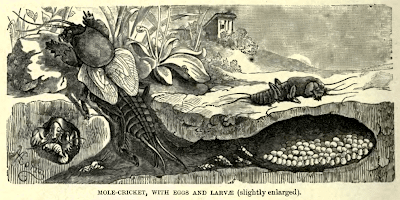 But where The Duke of Burgundy presented a world of female scholars and scientists, in which the only male voice was that of a mole cricket singing on a recording, in Evolution, there are no adult men. There are only boys. The film takes place on an island populated only by young boys and female care providers performing mysterious experiments on them. We have a teaser now, and it looks gorgeous. Perhaps, if we are lucky, there will be a mole cricket here and there. Meanwhile, on another part of the island, mole crickets and lepidoptery lectures.